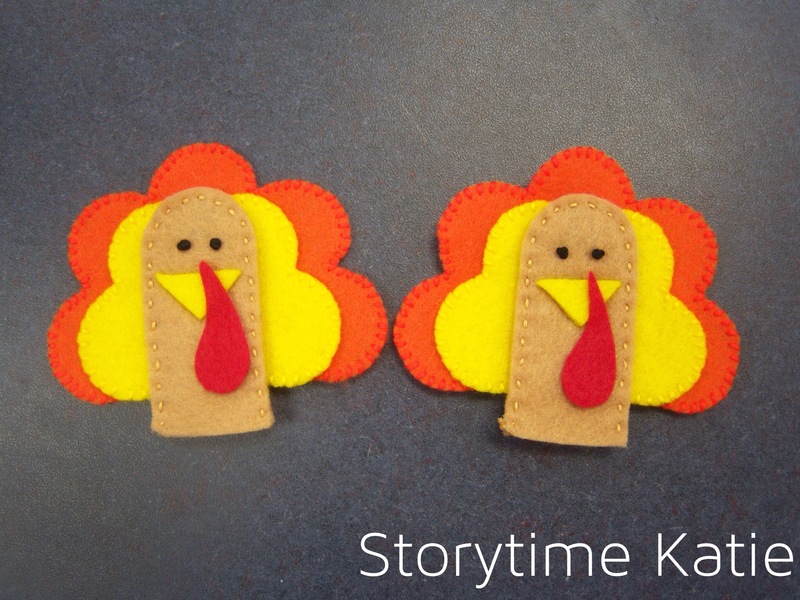 Just in time for you to make some for the Thanksgiving holiday! 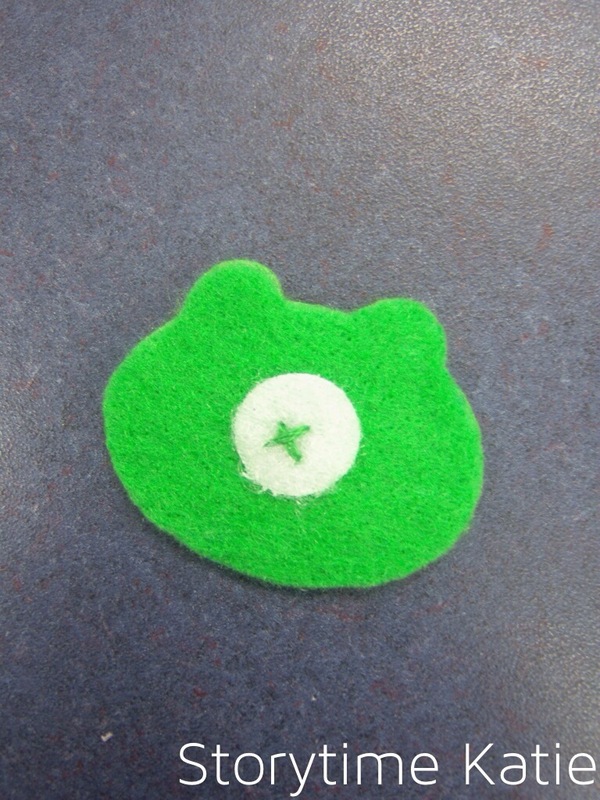 This template and inspiration came from Frog Paper Paperie. 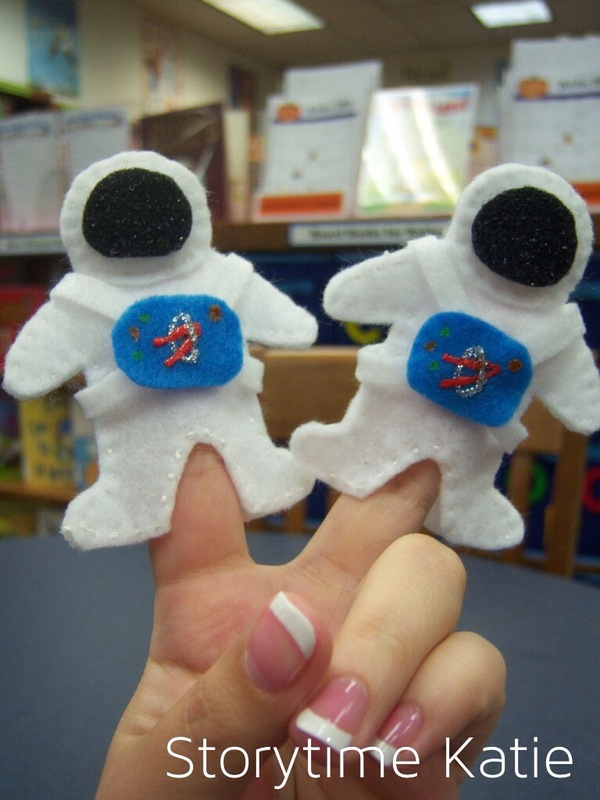 Preschoolers love this rhyme and I’m thrilled to continually make new versions of finger puppets to go with it! 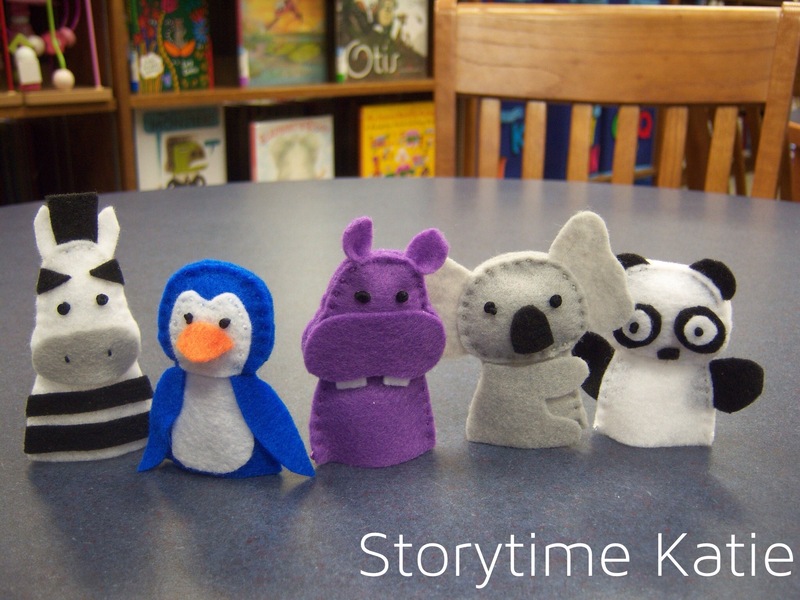 Two gorgeous sets of finger puppets up this week! 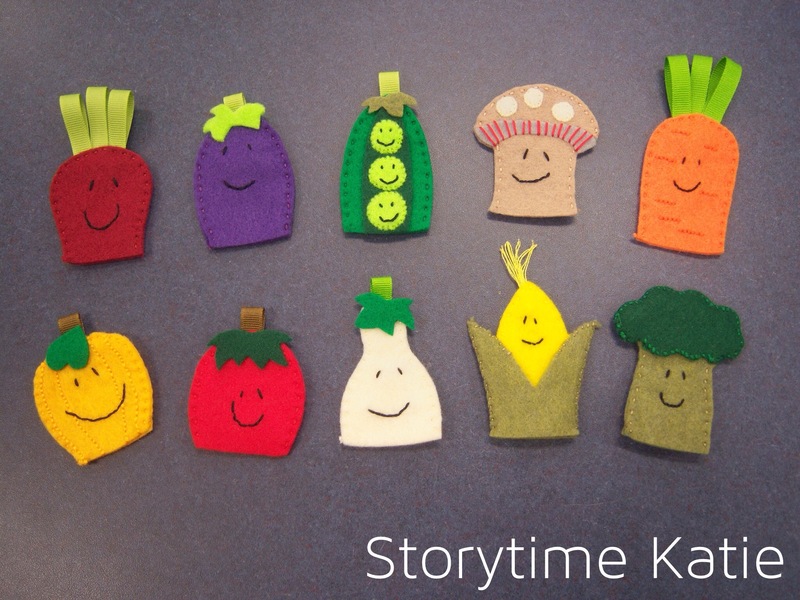 I have no idea what I’ll be singing or doing with these yet, but here’s a slew of ideas on these pages: Fruit & Vegetable Songs and Preschool Education Music & Songs: Vegetables. 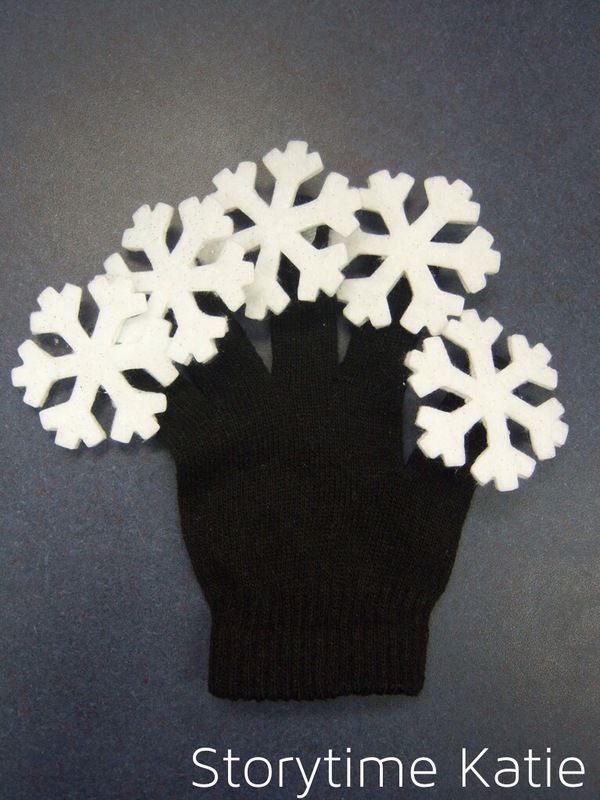 A labor of love that I made during Midwinter this past year: flower finger puppets! 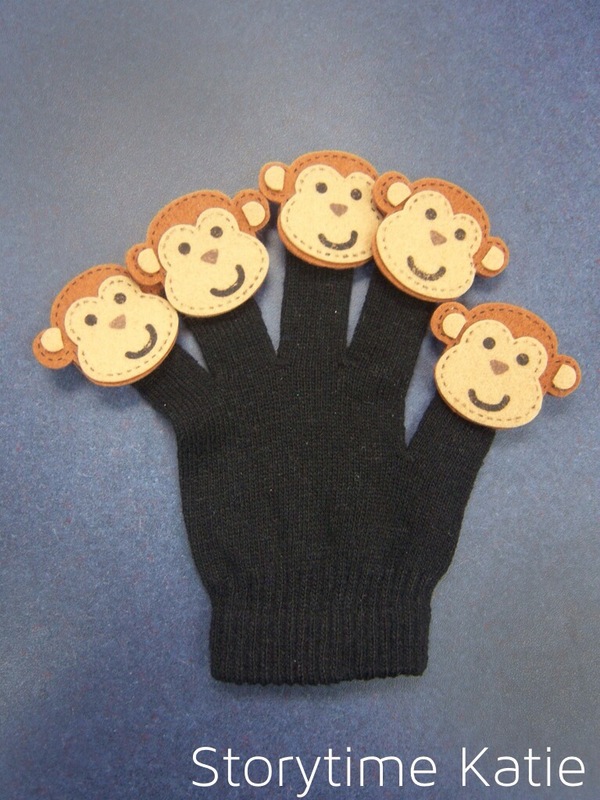 For the puppets, I had them attached to my finger puppet gloves so I didn’t have to spend a lot of my time putting all ten finger puppets on while my families waited to sing with me. And a bonus second flannel today, inspired by Library Village’s “Planting a Rainbow”! I used this in the same storytime — gardens with my famliies. I used these pieces on the flannelboard as I told the story. I didn’t make bulbs or seed packets or anything like that and just counted on the “wow” factor of the flowers to be enough. 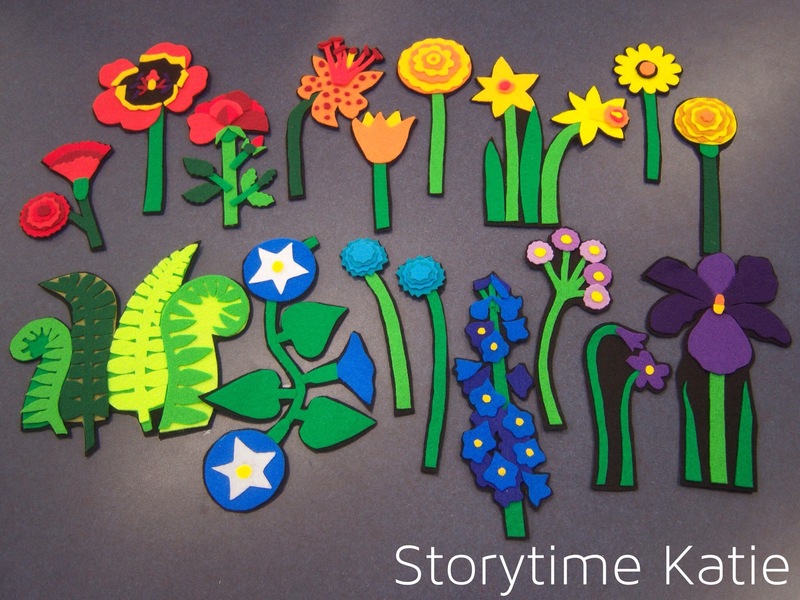 You also could read the book up until the flowers start to grow and then use the flowers on the board. As for a template, I just made photocopies of the book. The kids LOVED these pieces and I had several compliments from caregivers as well. 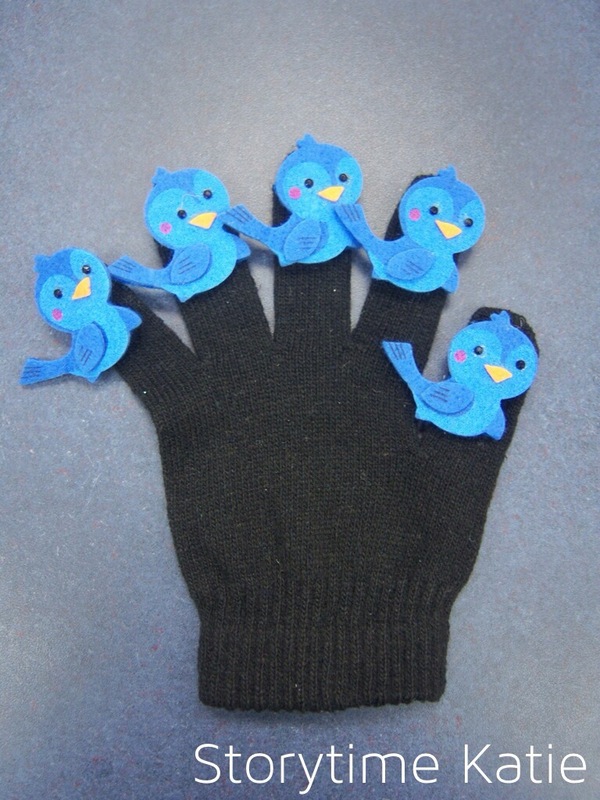 I did back them with black felt to give them more stability since I knew the kids would want to play with them. And play they did! 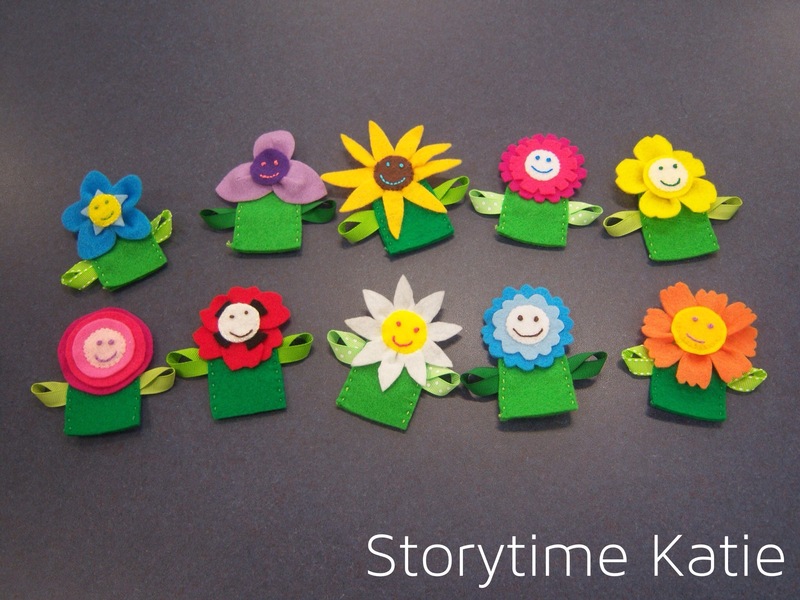 Another gorgeous, GORGEOUS set of finger puppets from Widia’s Etsy shop FloralBlossom. I am adding these for the song “You Can Hear” as I did with the first set. To me, they also totally look like dinosaurs. I chose not to make the popsicle flames just because trying to handle that many pieces in toddler time doesn’t sound super thrilling to me. 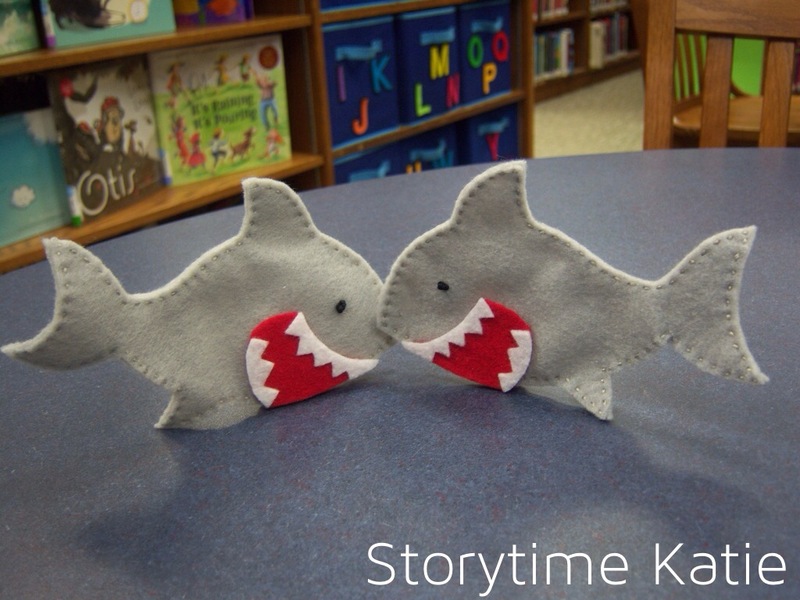 These adorable goldfish finger puppets come from Library Quine who was inspired by Lisa. You can see from my hand picture that the goldfish are pretty big. 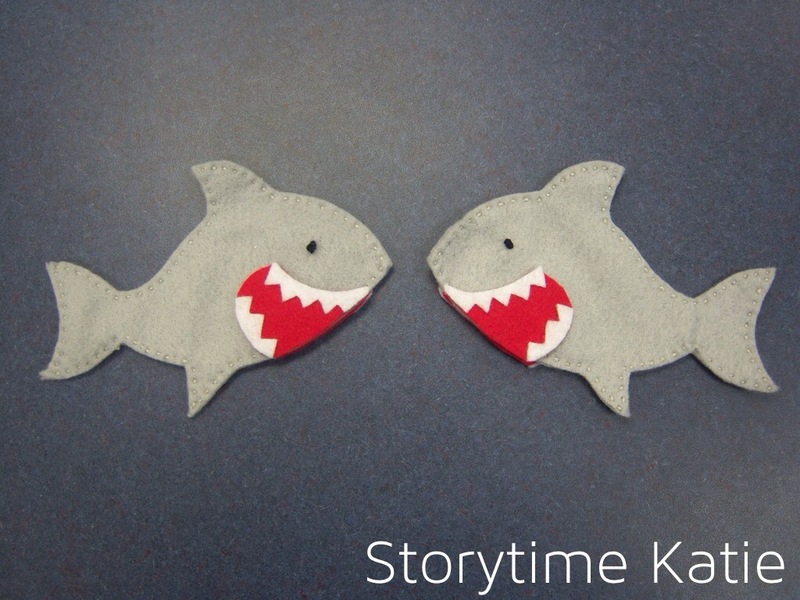 I wanted to make them big so I used them as stick puppets that they would be seen by kiddos. 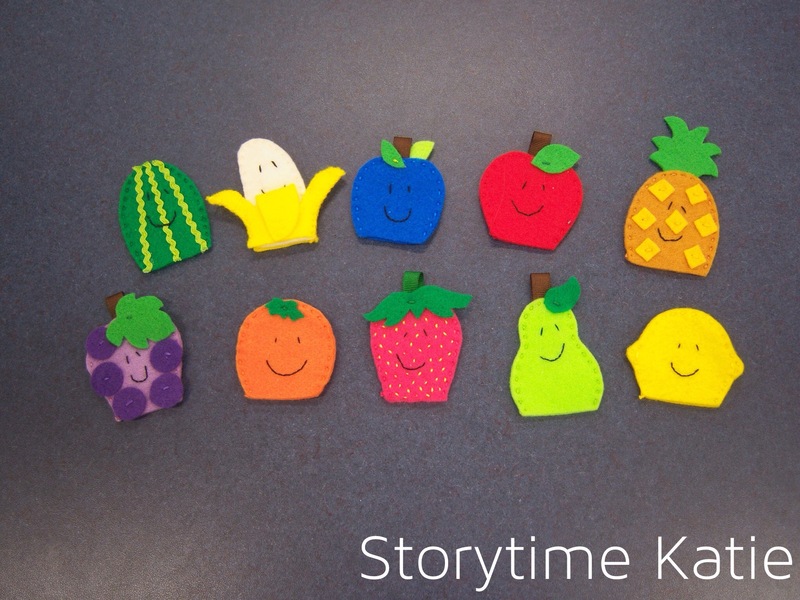 Like Lisa, I’ve used these with the Laurie Berkner song “The Goldfish” and swam around the room with the kids and puppets. Unfortunately, it looks like the original site with the template no longer exists. So I traced my puppets to make a template, which is available here. Kimberly is hosting the round-up today! You can also check out our website, Pinterest, or Facebook! 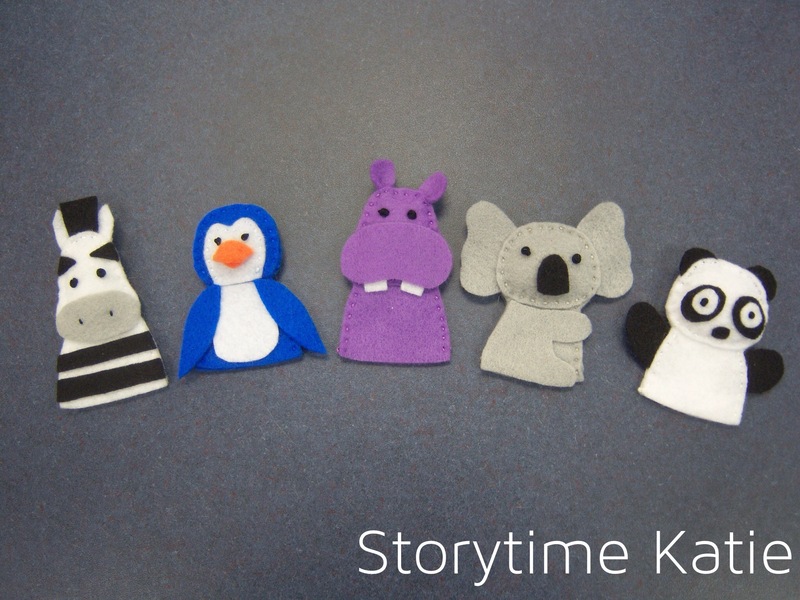 It’s another set of finger puppets, finally photographed and up on the blog! SHARK WEEK ON FLANNEL FRIDAY! 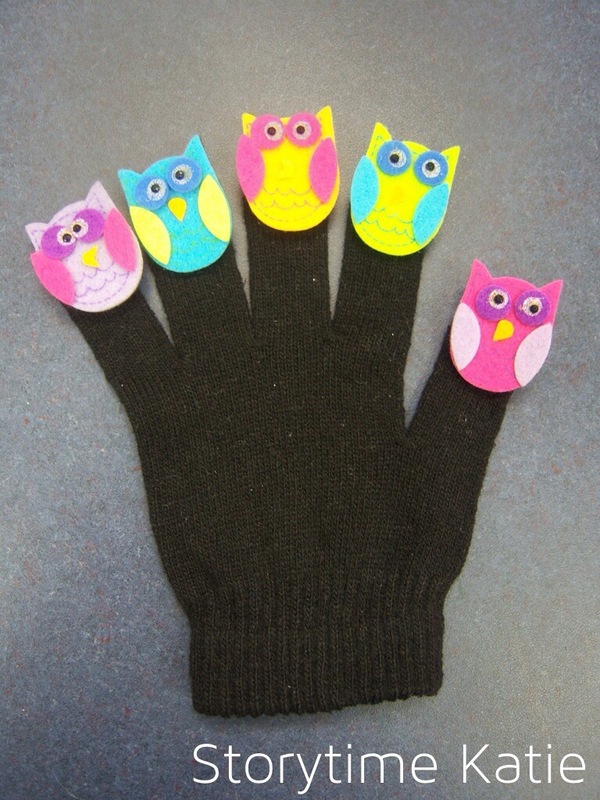 This amazing finger puppet set came from Repeat Crafter Me and includes a template, so please visit! Sharon is hosting the round-up today! You can also check out our website, Pinterest, or Facebook! Today’s Flannel Friday is our Halloween extravaganza! I don’t have a Halloween flannel to share since I don’t do Halloween storytime at the library (only outreach! ), but I will tie this back to Halloween! One blasts off, now there is one. He blasts off, now there are none. Both rhymes from this awesome storytime/powerpoint, here. I also do “Two Little Whatevers” a lot since my kids LOVE that rhyme. 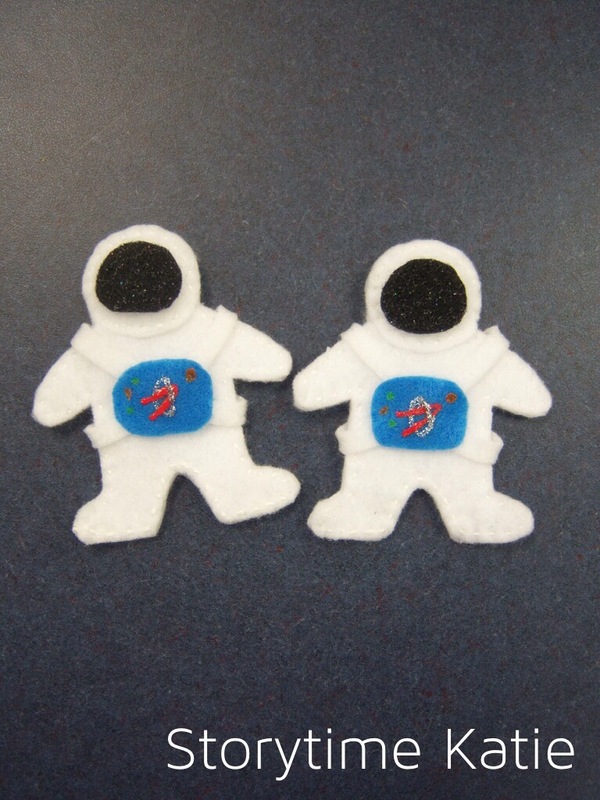 Even though astronauts don’t normally sit on a hill or wall, I think I can make a quick “Two little astronauts sitting on a SPACE HILL” adjustment and they’ll stay with me! The template came from Crack of Dawn Crafts. K is hosting the round-up today! You can also check out our website, Pinterest, or Facebook!